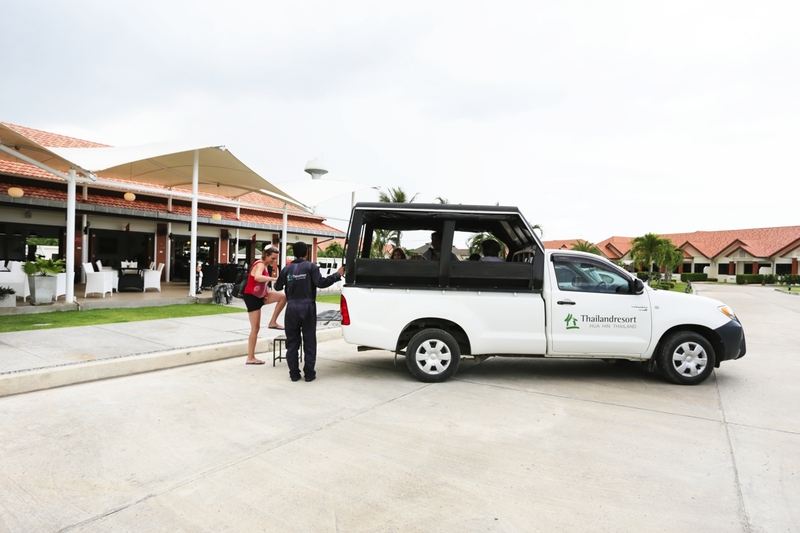 You can book taxi at the Restaurant or Reception with pickup at the Restaurant or at your Villa if you wish so. It costs 200 THB to go to Hua Hin city. Please contact the Reception for price information to other destinations.